At this oddball modern spot, a pairings-focused wine list and drive-through, Noorani kabob is an approachable entry-point with its blend of chicken and lamb. 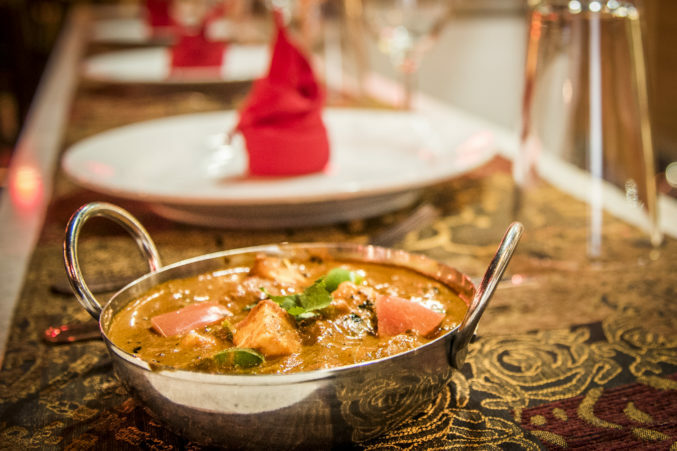 India Haat offers inventive approach differentiating from other Indian restaurants in Dallas, with slow cooked 'Dum Pukht' cuisine, distinguished by inventive finesse of Royal ‘Mughlai’ cuisine and surprising flavor of luxury. Open scratch display kitchen with ‘Chef's Table’, chef personally custom cooks to your taste, wine, dine and be dazzled at India Haat. 'Hut bar' and 'Wine Corner' with spice paired wines and hand-crafted cocktails, perfect pour for all. Open daily until midnight, unique drive thru. The lunch features BBQ Grills from clay oven or Chef-inspired Daily Lunch specials beautifully plated and served with naans, rice and Vegetables. Look out for Fresh juice specials from the juice bar. Specialist in private dining and corporate events. From intimate groups to large parties, cruise out on a culinary voyage. Signature dishes: Noorani Kebab, Chicken Musallam, Fish Caldin, Pasanda and housemade ice cream in Orange shell.